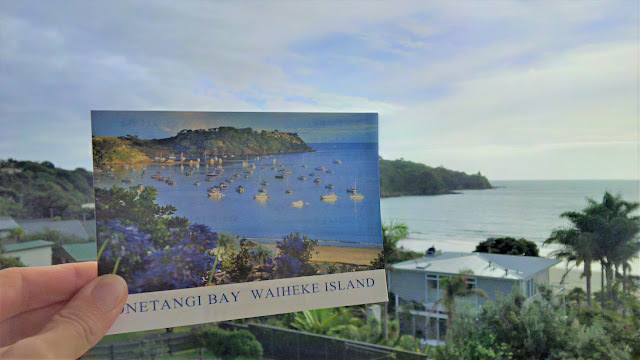 Waiheke Island's unofficial slogan doesn't really bring up the image of activity and adventure. 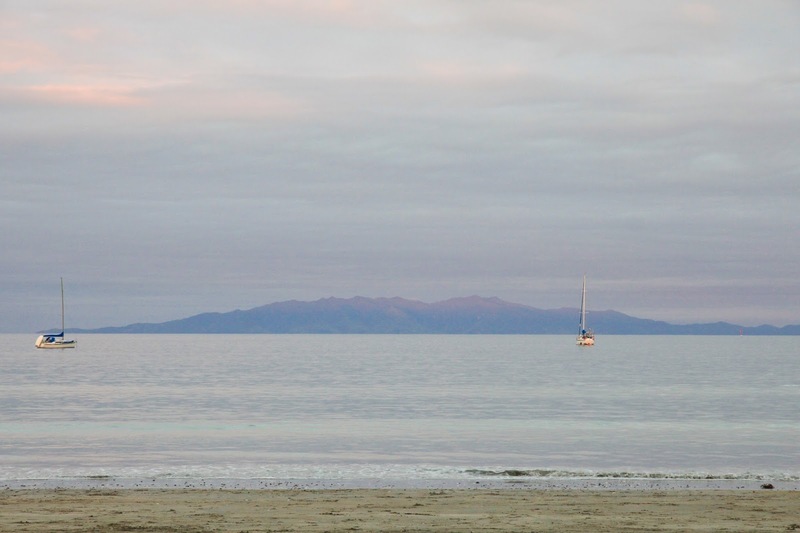 The island is best known as a relaxing escape from the hustle and bustle of New Zealand's most populous city. A 40 minute ferry ride from Auckland and you're there - far enough from the big city lights to feel like you've embarked on a remote getaway. 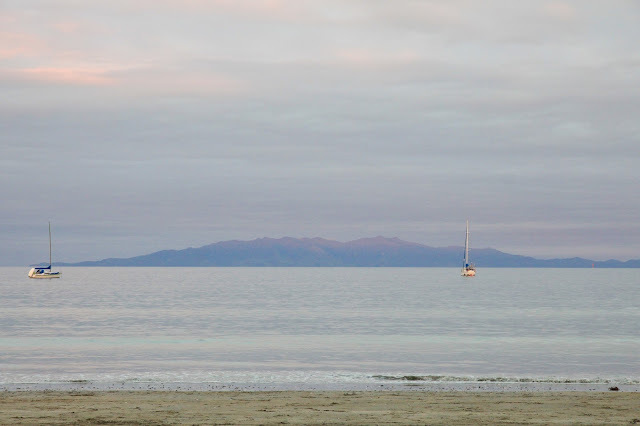 Waiheke has no shortage of picture-perfect, postcard worthy beaches. 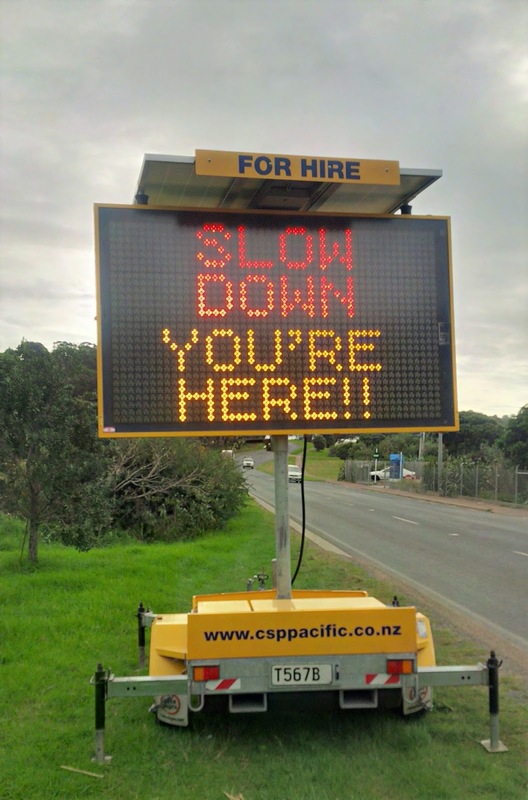 If you're looking for calm seas, in contrast to those found on the rugged beaches west of Auckland, you'll have no trouble finding them here. Even on a stormy day they're much more swim-able than Piha, for example. If you're like me and occasionally forget how precious the water supply is in this part of the world (or any part for that matter), a seasoned islander will politely scold you on the length of your showers. Unlike water, the availability of good wine is not in short supply. 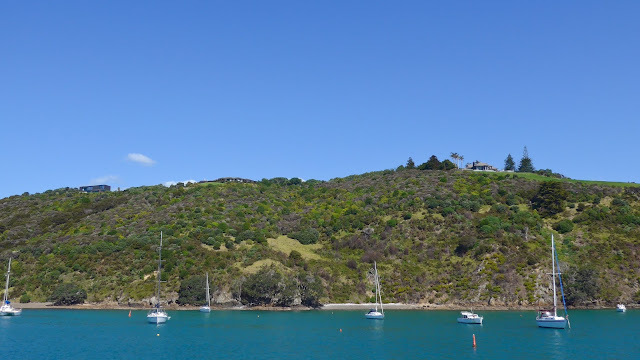 Waiheke is home to over 20 vineyards, spotted all over the 92 kilometre squared island. And what better way to unwind from the week than to sip a glass or two of award-winning wine while enjoying a delicious meal and no doubt admiring a breathtaking view? Ok, hang on a second. Allow me to now answer that rhetorical question while wearing my physiotherapy hat. I confess to enjoying a nice glass of wine but it's far from the best way to unwind in our stress-ridden and inactive world. Instead, I suggest doing something active to recharge mentally and physically. But instead of always defaulting to your usual (even if it's not very 'usual') exercise routine, plan for something that challenges your adventure comfort level. Why? You may not even realize you're exercising. You may learn something new. You may find a new passion. You may have fun doing it! It turns out that Waiheke has a lot to offer for those who want to relax through more adventurous (and sustainable) pursuits. And with so many different options, we're less likely to all end up doing the same activity, potentially limiting our negative impact on this beautiful earth. Adventure comes in different levels and the variety of tracks on Waiheke reflect this. With the Te Ara Hura track network, you can ambitiously cover 100km of the island by foot over a few days. There are many points of access to this track, including a couple just metres from the ferry terminal, making it a splendid idea for a day-trip as well. 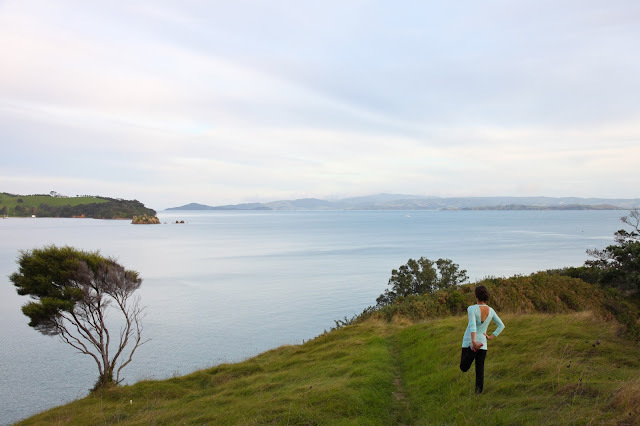 Every year, the Waiheke Walking Festival (November - find out more here) attracts thousands to its walking tracks. The festival takes place over two weekends and offers free guided walks of varying levels. It's a great introduction to the walking tracks and the island itself. If you prefer to explore on your own, pick up a trail map at the visitor's centre (at the ferry terminal) and you should have no problem navigating the well-marked paths. With a little extra effort, you can also hike to a view like this one. You'll quickly realize that Waiheke is a hilly island and far from walk-able in one day (even a very loooong day). A car rental is more than tempting but the opposite of environmentally sustainable of course. Thankfully, you can see a fair chunk of the island on a standard push-bike. If you want to cover even more ground, hire an electric bike. Both can be hired on the island or BYO on the ferry. Adventure is guaranteed here as a biking the island's hilly and windy roads can take you to some very remote areas. 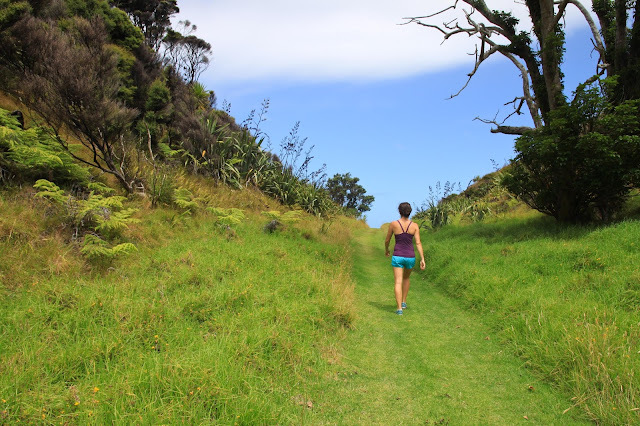 All of Waiheke's walking/tramping tracks are also open to trail runners. There are plenty of narrow, windy and hilly sections to keep you on your toes. Just make sure to look up from time to time or all the beautiful scenery will bypass you. The ocean is never far away on an island, of course, allowing for many possibilities for that much needed post-run dip. Waiheke is also a sight to see from the water and a paddle-board may just be the best way to get this view. The perspective when standing on a paddle-board is pretty special and truly, it can't be matched by paddling a kayak or sitting on a yacht. Even if you're not lucky enough to encounter sea-life (don't forget your prescription sunglasses for this outing), gliding across the water will have you feeling like you're walking on water while deceptively getting a workout at the same time. Looking for an adrenaline rush? Then you won't want to miss Waiheke's only commercial zip-line. Although I haven't personally experienced EcoZip yet, I can see how you would want to check here if you're hoping for that extra bit of heart-pumping action. They offer three 200m flying fox zip-lines and interestingly, you can do it side-by-side with a friend. The views are bound to be incredible given their location on the island. You'll also get a chance to learn about the island's native plant life with a guided forest walk. EcoZip on the list for my next visit! 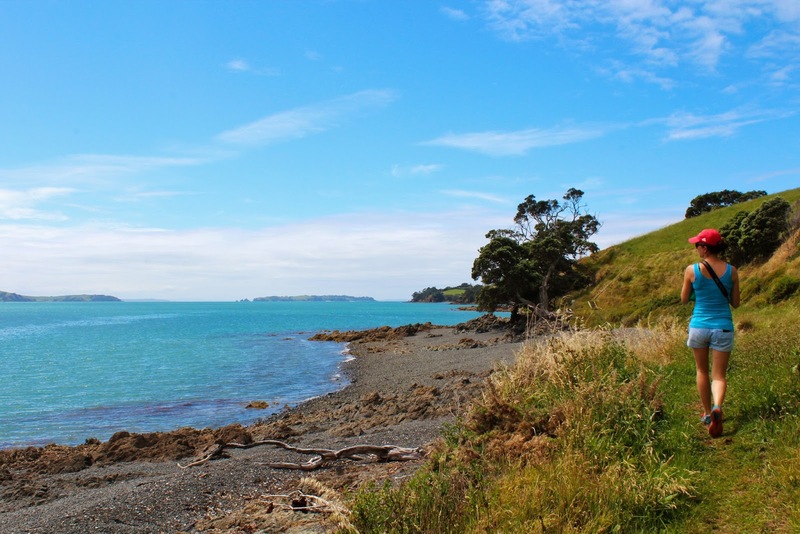 Get your adventure on at Waiheke! You won't be disappointed.